Customize your sneakers with crystals as the perfect complement to your dress! 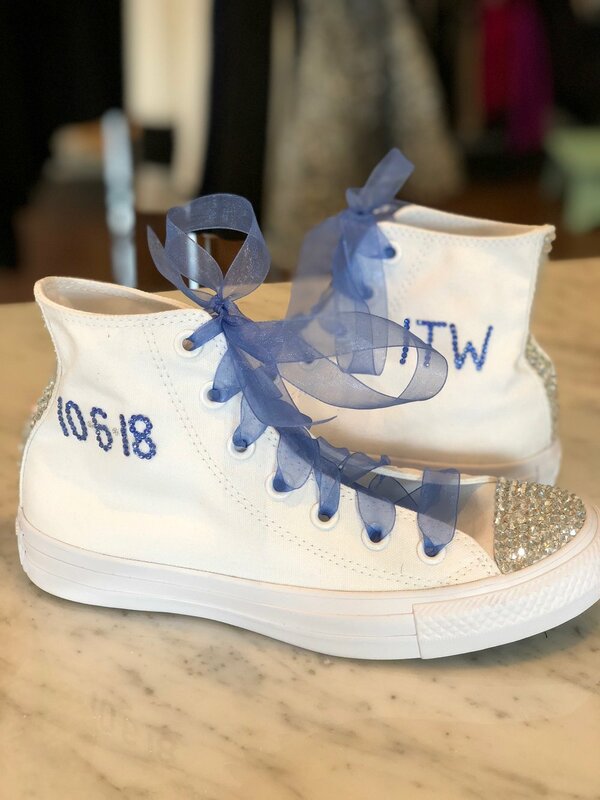 Choose from an overall design of scattered crystals or individual elements like the date, your initials, toe cap or back stripe! You supply the sneakers and we’ll take care of the rest. Call the store for information regarding colors and design.